Activation: place within a File menu item and activate from there. This dialog box lists any “session files” you may already have created and then confirms to you the path information for each directory you have indicated you wish to save. Then name the new session file anything you wish (you may want to use brief references to the paths within the file name as a simple clue). 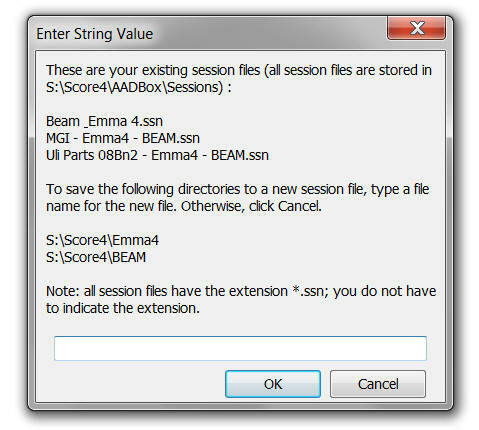 Note that all such “session files” receive the extension *.ssn. 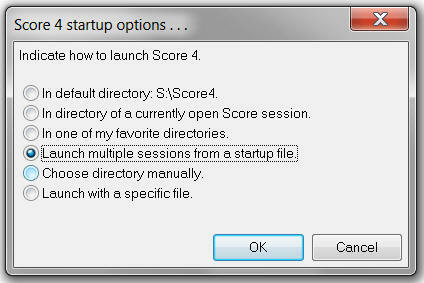 Once you click “OK,” as many ScorBox sessions as required will launch automatically, in each of the directories indicated in the session file. 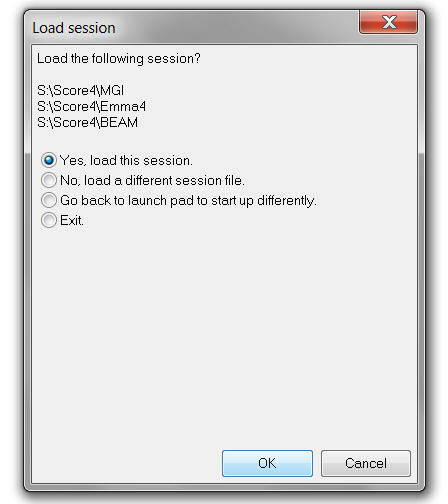 Note that each session will open with a blank screen; that is to say: no individual files will be opened. 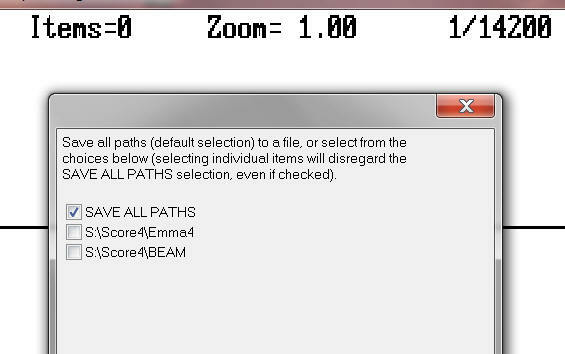 But you can then quickly load your desired work files into each open session. Note that you do not indicate where to store your sessions files. 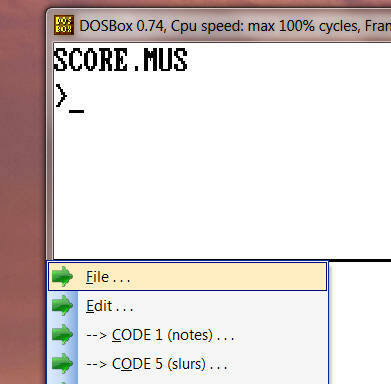 They will be stored automatically in a directory entitled “Sessions” within your ScorBox support directory. If a “Sessions” directory does not yet exist there, it will be created automatically. 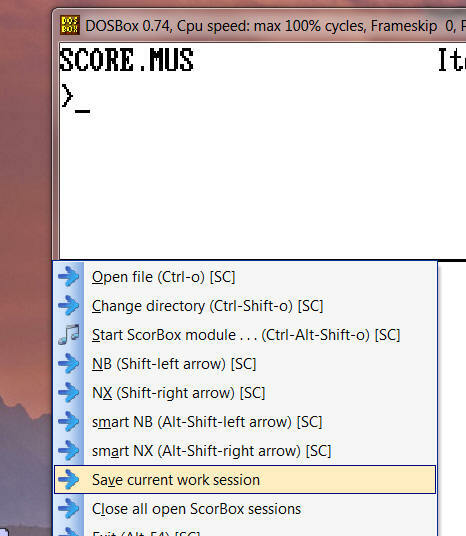 You can view, edit, or create session files directly in that directory yourself, if you wish. initial posting: 24 March 2011.